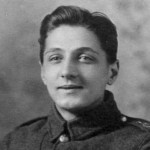 In 1917, when Samuel Levy was 44, he volunteered to fight Germany for King and country. He left his wife, Pauline (nee Neuberger), and their eight children to cope without him, presumably managing on a proportion of his army pay. 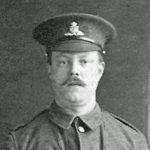 His civilian occupation, tailor’s cutter, cannot have brought much in but now they were having to manage on less while Samuel was a private with the Royal West Kent Regiment and later when he was attached to the Royal Engineers and sent to France. Still, it wasn’t money that worried Pauline. It was the lack of fatherly discipline for her boys. In October 1917, five months after Samuel signed up, Pauline had had enough. “To the Officer in Commands,” she wrote in a beautiful hand, “…I am making an application to know if it is possible to have my husband transferred from France now on active service there.” Through her little mistakes in English and the way she frames her sentences you can hear the cadences of her Jewish background. 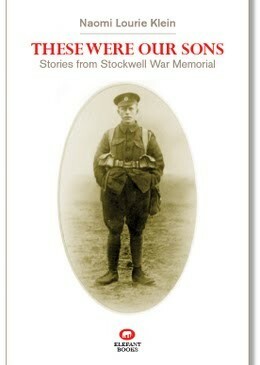 I cannot tell you what happened next, only that Samuel was demobbed on 3 March 1919 and given a conditional pension. 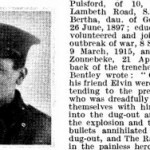 He was described as 60% disabled (neurasthenia, aggravated by the war) and awarded 24 shillings for him, and 24 shillings and 11 pence for his wife and children. 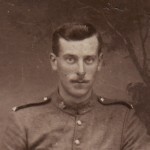 Samuel Levy had two army service numbers: 404122 and 26076. 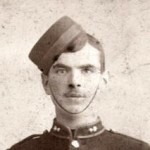 He was enlisted in the Royal West Kent Regiment and was later attached to the Royal Engineers Labour Corp. He was Private. Samuel Levy stood 5 feet 7 inches tall, with a 41inch chest (expandable by 3 and a half inches). 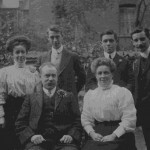 Samuel and Pauline married in Dalston Synagogue in 1899. 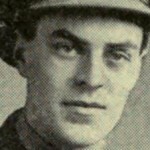 Their children were listed on his enlistment papers as: Lionel, Sarah, Leslie, Aubrey, Gladys, Gerald, Stanley and Mariella (some difficulty deciphering the handwriting). Their years of birth stretched from 1902 to 1913 – eight children in 11 years. Most were born in Highbury or Islington, but Mariella, the youngest, was born in Wandsworth (Clapham was at that time part of Wandsworth). Neurasthenia, a common diagnosis in First World War servicemen, is a psycho-pathological term. Symptoms include headache, fatigue, anxiety and depression. It sounds similar to Post Traumatic Stress Disorder. Samuel Levy is not the S. Levy listed on the War Memorial.